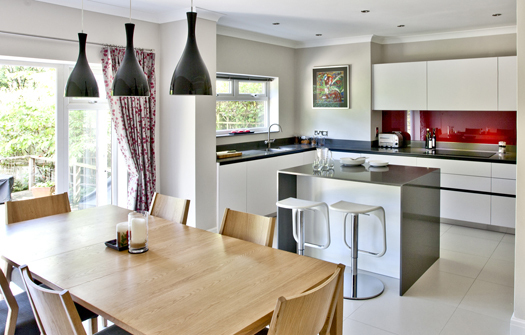 The brief from the clients was to design a statement kitchen that was clutter-free that would work seamlessly with the adjoining living spaces. 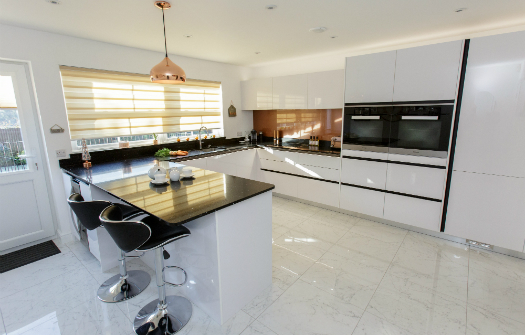 We provided ample storage throughout with a mix of full height cupboards housing appliances, base and wall units and a large feature island. 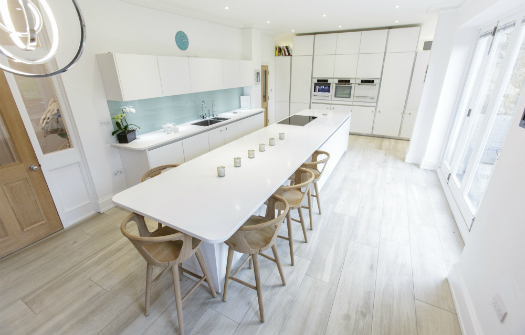 This design has given the family the ability to neatly hide away day-to-day equipment and food, enabling them to keep the white worktops clear. 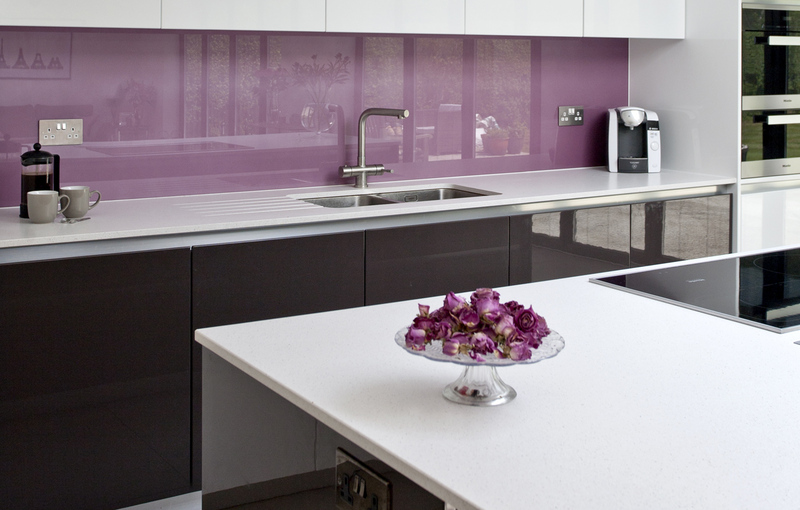 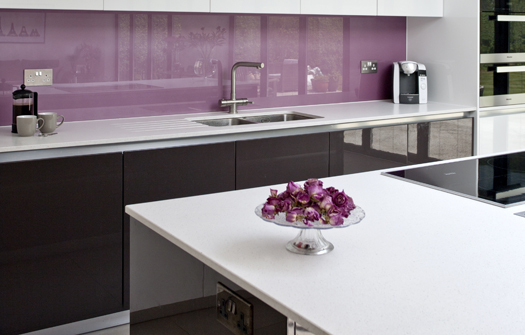 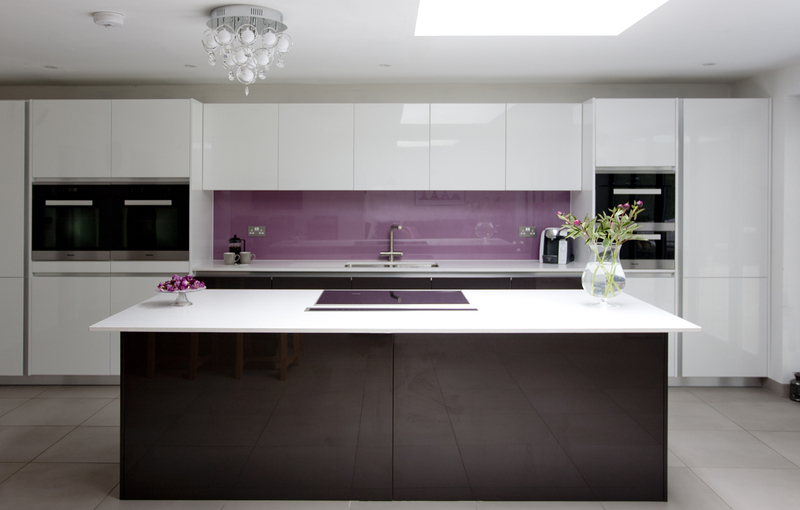 A raspberry shimmer glass splashback provides the accent colour to complement the two-tone high gloss white and ochre lacquered doors. 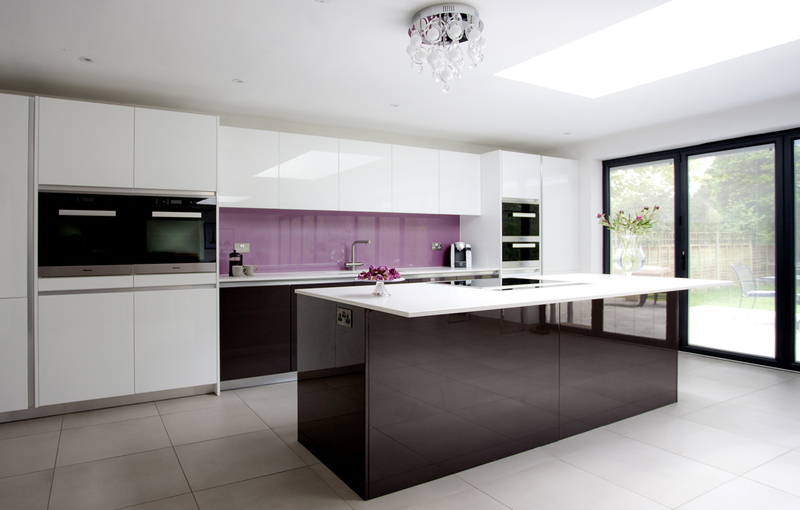 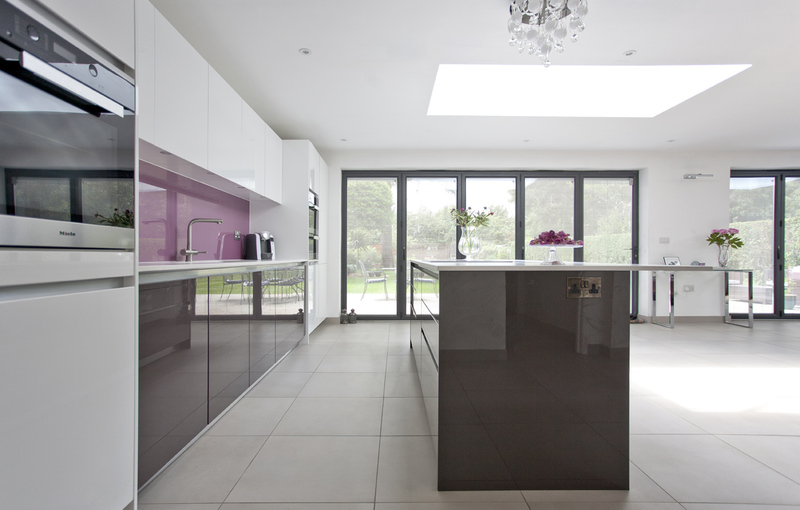 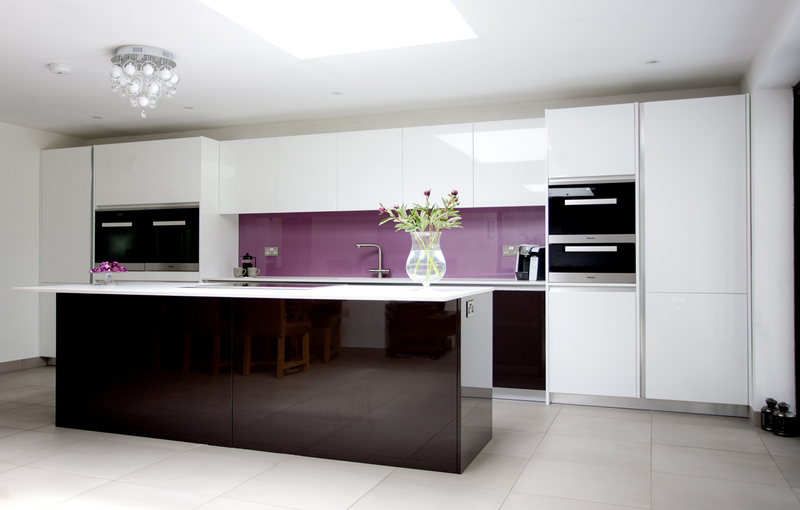 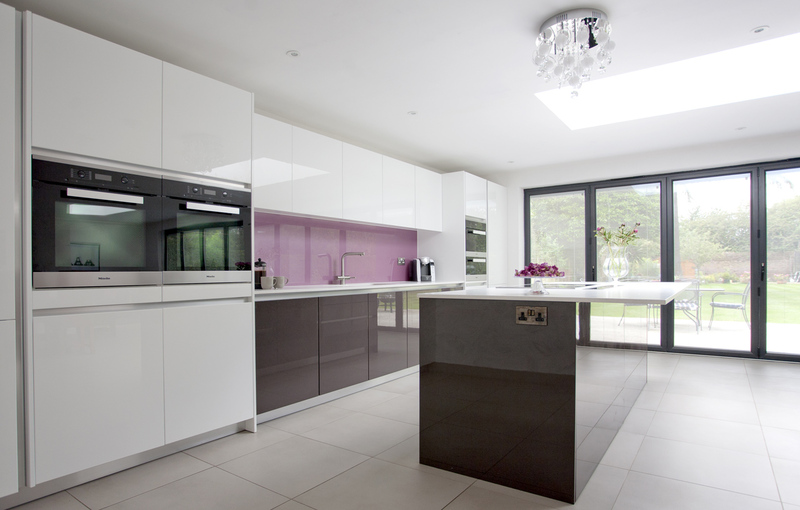 Light bounces beautifully off the surfaces reflecting the outside into this lovely modern kitchen.